Heading up to see “The Big Buddha” at the Po Lin Monastery. The bartender stared back at me with a blank face and responded to my question in English. We had made it to Hong Kong and I had spent three or four months learning the basics of the Mandarin language. Unfortunately I had done my research backwards and Hong Kong speaks Cantonese and English as their primary languages. I was curious as to why our cab driver didn’t give me any type of smile or thanks for learning any Mandarin. He likely had no idea what I was talking about! We visited Hong Kong for five days/four nights en route to a visit with our friends who lived in the Philippines. Four full days to explore left us plenty of time to not feel rushed but actually feel like we got to enjoy parts of the beautiful, crowded, and clean city. Below is my Destination Guide rundown to give you some tips and tricks for you on your first or next trip to Hong Kong. Just remember to learn some Cantonese for Hong Kong and Mandarin for mainland China. If you do that you’ll already be light years ahead of me! 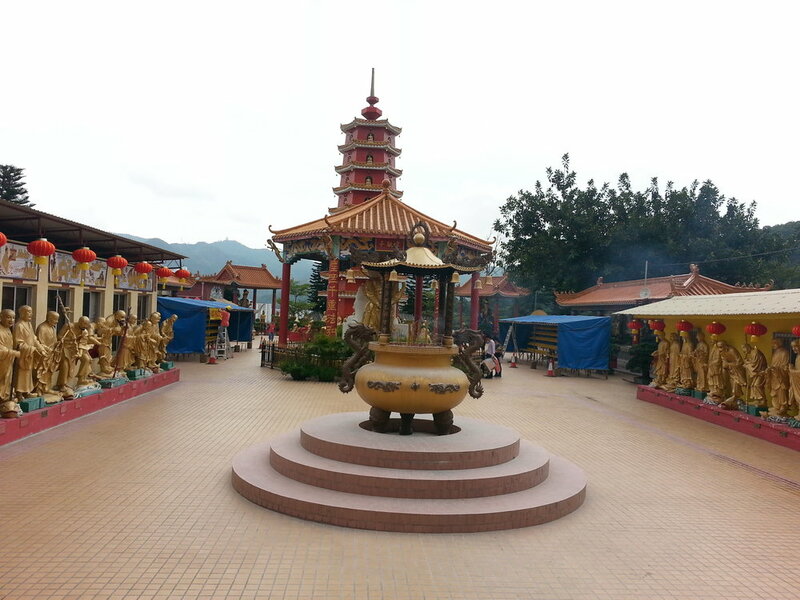 Go visit a Chinese Temple. Depending on where you stay there’s a laundry list of great ones to visit, even in the city. They are beautiful and sacred, just like visiting an old Church in Europe. Here’s a good list. We went to three. 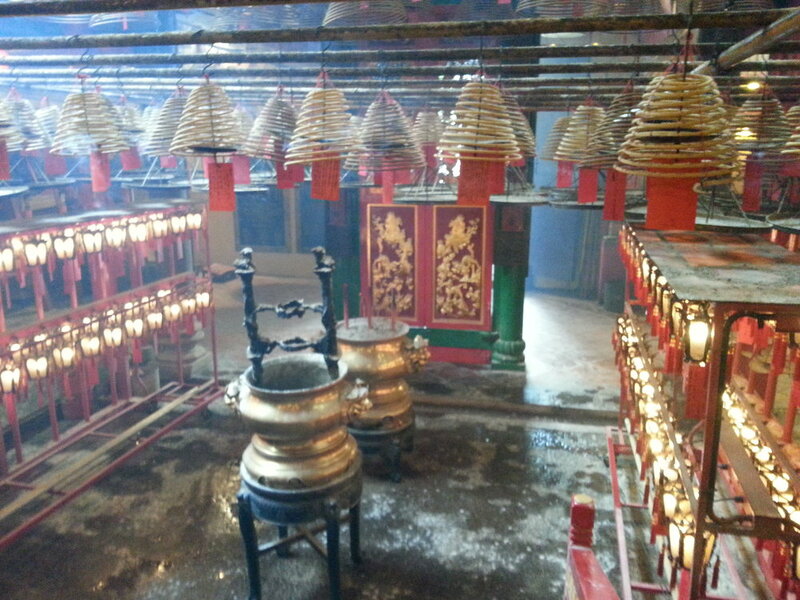 Spend the day exploring The Big Buddha and Po Lin Monastery. A beautiful day of exploration on this island awaits, including a very long hike or fun tram ride! 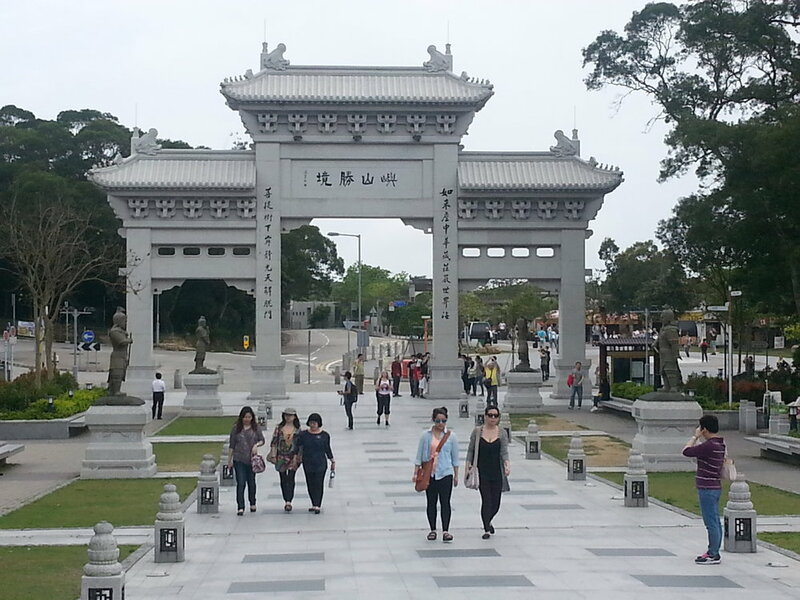 Visit the Hong Kong Heritage Museum. To us this was the best glimpse into the interesting and controversial history of Hong Kong. Controlled by the British for so long, not totally in line with Mainland China, etc. When we were we got the chance to see a special Bruce Lee tribute and exhibit which was outstanding! Stay in a local neighborhood. If you come to Hong Kong and stay in the business district or do just the touristy things odds are you won’t even feel like you are in China. We stayed at a lesser trendy Courtyard Marriott which gave us the chance to be in a Cantonese speaking neighborhood and connect with locals way more than we could have staying downtown or in an English speaking district. The view atop Victoria Peak. Head up to Victoria Peak or one of the other great hikes in Hong Kong. The tram ride up Victoria Peak was a bit trendy with the Bubba Gump restaurant and all at the top. But it has nice views and there are several other ways to explore nearby via hiking in a city. Take a foodie tour with Hong Kong Foodie Tours. We found amazing eats we would haven’t found anywhere else and it gave us the chance to a have a part walking, part eating, and part historical/culture tour. Highly recommended! The 10,000 Buddha Monastery where no monks live. Explore the Sheung Wan District. Hong Kong has 18 “districts” which are political areas and geographically divides the city. The coffee, hipsters, and drinks made this one my fave! Hong Kong Foodie Tour Eats. One of numerous fab dinners in Hong Kong. Learn some Cantonese like I mentioned earlier :). If you are going to the mainland too then get your Mandarin on. Do take public transit. It’s safe, on time, and clean. We took the rail system everywhere! Learn the cab color coordination. Based on what island you are going to means what cab you can and should be taking. They might take you to the wrong island if you aren’t careful :)! Here are more details on this. Where to drink? Anywhere serving a Tsing Tao! That’s the drink of choice if you want the Bud Light of China. Honestly Hong Kong has varieties of places for all sizes. They have a hipster district, late night club scene, sophisticated dining, and craft brewery initiative. Find your fancy or just try a bit of everything like we did! I’m not a city guy anymore but I found Hong Kong truly charming. It was the first time we were in Asia and it was a nice landing spot to begin our travels there. The people are kind, there’s enough of other languages to not make you feel totally stuck, and there’s enough going on to have you spinning around the city and its local regions all day every day while you are there. In closing I would say if you haven’t been to Hong Kong and you are looking for a place to fly into to begin a trip to Asia it’s a great choice. It doesn’t have the out of control craziness of Tokyo or Bangkok but you also can fly direct there from most big international cities and restore yourself for a few days exploring and moving past the jet lag. It’s a place with an interesting tradition and history and it seems to celebrate and acknowledge it all. That’s a refreshing find and something I am always seeking more of. Thanks for doing that Hong Kong! Thanks for reading and being a part of our squad! Comment below with any questions on your Hong Kong trip or your favorite part of your trip there.